Pattern imprinted concrete provides a great surface for driveways, paths and patios, but don’t think you are limited to these, pattern imprinted concrete can be laid on a series of steps. 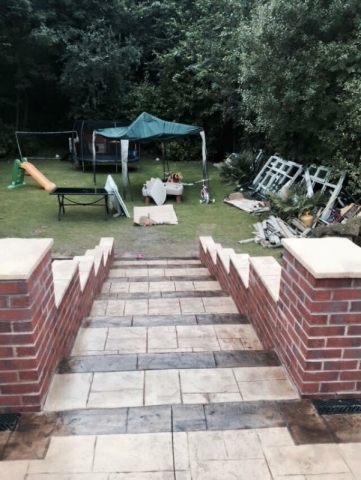 The photographs included of a recent job in the Northenden area of Manchester are an example of a beautiful shuttered stair case providing access from the patio area at the back of the house to the lower garden. It’s a stunning example that illustrates what can be done with pattern imprinted concrete. Our clients opted for the concrete to be printed in grand ashlar to create the pattern effect and coloured in sandstone with mahogany release. In addition, definition to the steps was enhanced with slate edging and acid stain. You can see the brilliant results from choosing this combination. The colour of the concrete perfectly complemented the style and colour of the brickwork! 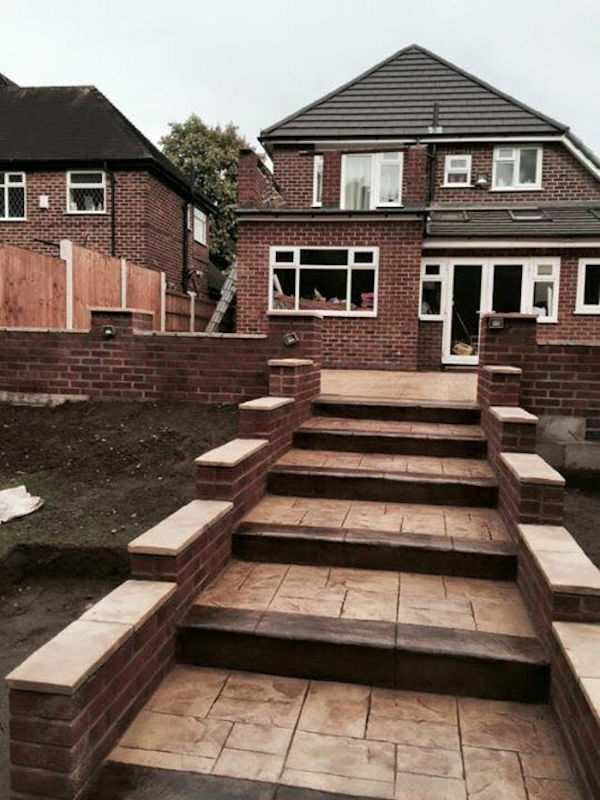 If you live in Northenden, Manchester and have a graduated patio area or steps at the back or side of your house, have you thought about having pattern imprinted concrete? The option combinations of pattern and colour are endless and will as a result suit any style of property!